Attention will be on The White House next week as President Barack Obama is inaugurated for a second term as President of the United States. The House That George Built is the perfect book for children who want to know more about the history of the President's home. The book has a lot of kid appeal. Each two-page spread contains a paragraph about how the White House was built accompanied by a rhyme in the style of This Is the House That Jack Built. for the President's House that George built." Young readers will enjoy hearing about the contest to design the president's home. They may be surprised to learn that President Washington helped to survey the land and measure the building site. A shortage of stone forced Washington to change the design from three stories to two. Ink and watercolor illustrations use the entire page; illustrations show workers laying bricks, chiseling stone and cutting lumber during construction. After all the planning and work, George Washington didn't live to see the White House finished. John and Abigail Adams moved into the home in 1800, the year after Washington died. History buffs won't want to miss the page of interesting White House facts located in the back of the book. An author's note provides readers with further information; Slade points out that "Slaves, hired from their owners, and free black men also worked on this immense construction project." 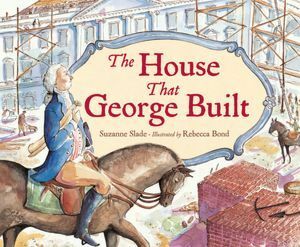 The combination of rhyme, short informational paragraphs and delightful illustrations make The House That George Built an excellent read aloud for a range of ages. It's Nonfiction Monday! 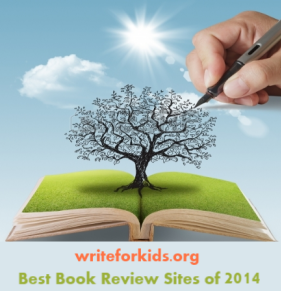 Head over to 100 Scope Notes to read the reviews. Yes, it's nice to link books with current events. Thank you for sharing this review. Here's my Nonfiction Monday post. I haven't seen this one, looks great!